Jay joined the Board in 2009. 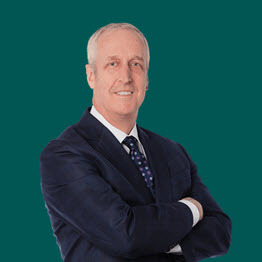 He is an Executive Vice President and Director for Callan Associates, Inc., an investment consulting firm serving the pension, endowment and foundation market. Jay oversees Callan’s Capital Markets, Hedge Fund and Private Markets research groups. Jay joined Callan in 1998, sits on the management committee and is a shareholder of the firm. Prior to joining Callan, Jay was a Senior Economist and the Western Regional Manager for Standard & Poor’s DRI. Jay earned a B.S. in Economics from the University of Oregon and an M.A. in Economics from Stanford. Jay lives in San Francisco with his wife and two children. As a direct beneficiary of the services provided by KEEN, he has seen dedicated staff and volunteers in action, and is delighted to serve on the Board of Directors guiding KEEN. Executive Vice President and Director, Callan Associates, Inc.